We’re continuing our five-part series here on the Treasury Career Corner podcast, where I share the recording from my recent speech at this year’s ACTA event. 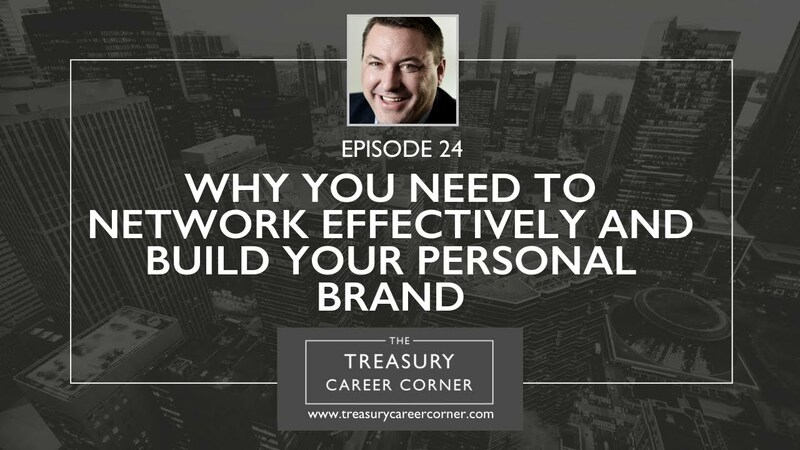 In part three, I explore why you need to network effectively and build your personal brand. The ACTA (Austrian Corporate Treasury Association) is a not-for-profit organisation of more than 100 members from more than 50 corporate groups. The association helps to promote the treasury profession and offers support to the professional development of treasurers from around the globe. I was honoured that they invited me to speak to an audience of treasury professionals. It was an unforgettable experience. If you want to develop your own personal brand and learn how you can start networking more effectively in the “real world”, this is the podcast episode for you!